Deployable structure is an interdisciplinary research field of mechanical and structural engineering. They are able to change their size and shape to achieve different design objectives, while still provide adequate load bearing capacity. They are utilised in different engineering applications such as large-scale aerospace and civil structures. By solving a series of highly nonlinear geometric and kinematic compatibilities problems, we proposed a new design approach for deployable structures——tessellation. This approach employed 3D overconstrained linkages as base units, and constructed large deployable structures based on planar or spatial tessellation under the compatible condition of linkages. By this means, all the designs that satisfied the planar or spatial tessellation conditions could be obtained. 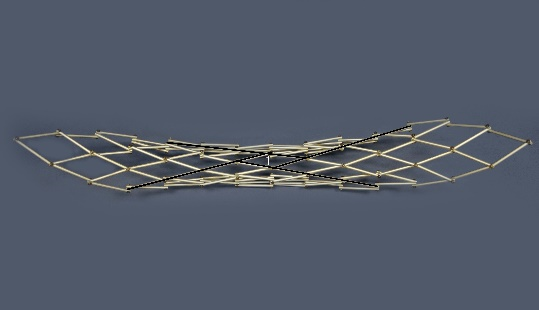 For instance, a new deployable structure with compact folding capability was developed based on Bennett linkage. Those deployable structures have great potential in aerospace engineering applications due to their simple configurations and excellent folding performance. 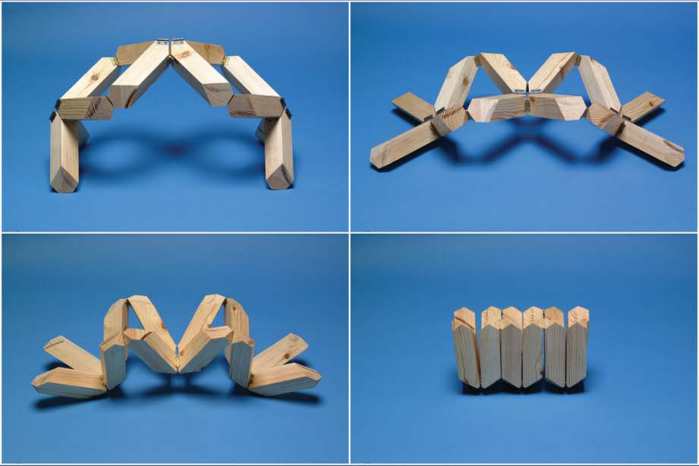 By tessellating a 3D overconstraint linkage such as Bennett linkage, Bricard linkage, or Myard linkage, a series of single-DOF overconstrained deployable structures with only revolute-joint connections and redundant stiffness were generated. Those designs were structurally simple, easy to control, could be compactly folded for transportation, and could be deployed to large-scale plane, cylindrical, or saddle surfaces with pre-designed functions. Those structures were deemed suitable for aerospace or military applications. 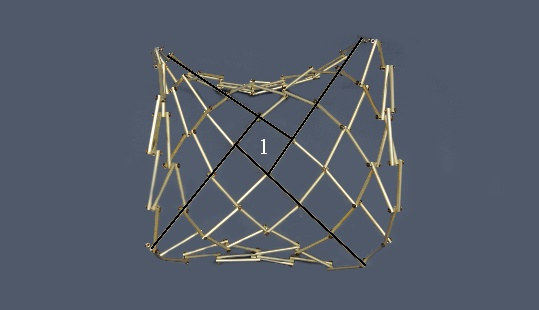 We proposed a design approach for transformable polyhedrons with single degree of freedom (DOF), which incorporated truss transformation method and compatibility conditions of multi-loop linkages. A series of one-DOF transformable polyhedrons were realised, including the configuration transformation between cuboctahedron and octahedron, truncated octahedron and cube, truncated tetrahedron and tetrahedron. Their corresponding expansion/packaging ratios in volume were 5, 11.3, and 23, leading to a substantial increase in the internal workspace. Motion path analysis and experiments with physical prototypes indicated that these polyhedrons were transformed without any bifurcation. 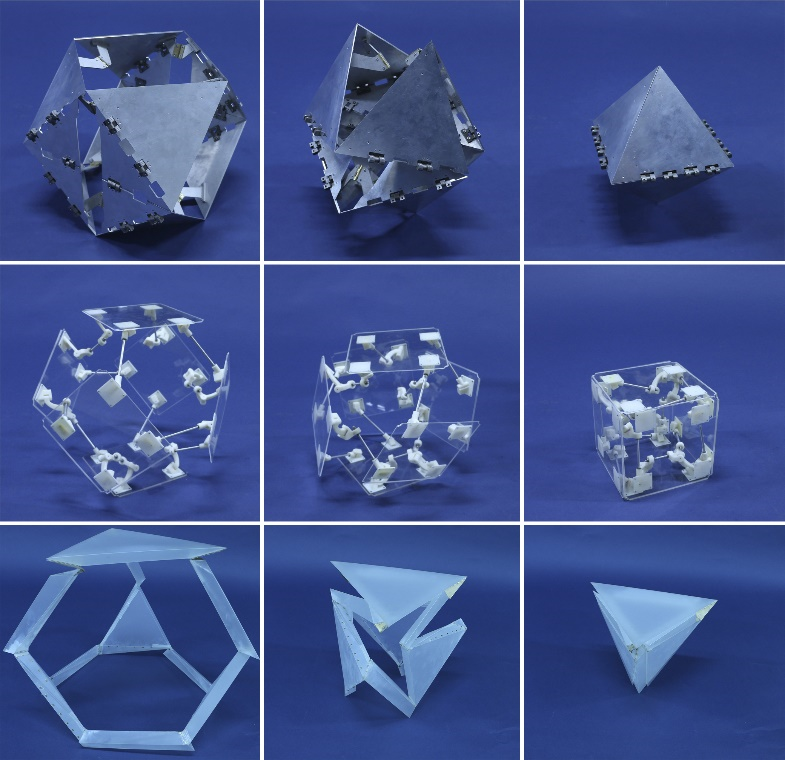 The transformable polyhedrons were structurally simple and easy to control, which extended the scope of deployable structures from 2D flat or curved surfaces to 3D structures. They showed great prospect in a wide range of engineering fields from cubesat to capsule-like robot for medical applications. To meet the increasingly demanding needs for advanced space technologies and space structure recycling, we proposed a design approach for deployable structures which could be folded and deployed repeatedly. Based on Sarrus linkage, a morphing wing for airplane was designed. The wing realised an extension ratio of 30%, and was able to change its shape in response to different environments to achieve optimal aerodynamic performance. In addition, a large deployable arch was designed. It had a large deployment/folding ratio and could be rapidly deployed, which fitted the needs of military applications for maneuverability and rapid response.